Hi, my name in Venkatesh Movva. I’m a physician specializing in sports medicine and regenerative medicine. So we’re going to talk about regenerative techniques and new technology that’s been evolving in the field of regenerative medicine, regenerative orthopedics. Interventional orthopedics we call it these days. A tremendous opportunity to avoid surgery in most of the cases, an option which was not available several years ago. It was popularized by the athletes only. We used to see athletes going overseas … Peyton Manning, Kobe Bryant. But now it’s available in US and we’ve been pioneering this for the last several years. As a group, Regenexx, we have basically performed more number of procedures in the stem cell and the regenerative field, plasma rich platelets field, than anyone else in the world. 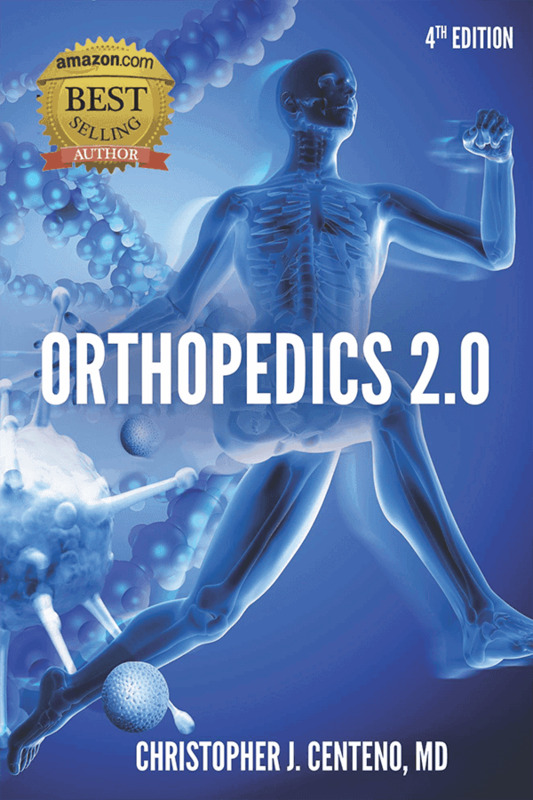 We have also published a substantial part of the literature in the emerging areas of interventional orthopedics and regenerative medicine. That’s what we’re going to talk about. I do practice in two locations. One is in Dallas. Great point location, where we offer stem cell procedures for orthopedic problems. We’re talking about knees, shoulders, ankles, hips, lumbar spine, cervical spine, wrist. Basically most of the peripheral joints in the body as well as the spine related issues. Typically, I know a lot of people have questions about “Hey, what is this? We’ve been reading so much online. There are so many conflicting information embryonic stem cell versus what are these stem cells?” Typically what these cells are, in USA, FDA approves us to do only orthopedic stem cells. We’re talking about your own stem cells. They take it from bone marrow from your body part, most likely from the crest area. We process them and re-inject back into the target tissue. If it’s a knee, it’s a meniscus tear. If it’s a cartilage issue, that’s where we target it. We do it precisely with the help of an ultrasound guidance or and x-ray guidance. It’s always image guided, exact placement of the cells. That’s legal in the US. That’s allowed. We do it within the guidelines. That has become the mainstream these days. It wasn’t there 3 or 4 years ago. A lot of athletes, you see them going overseas and getting it done. Now we have brought it back and made it available for common public. Just a weekend warrior. An old person. A young athlete. You just name it. Anybody from a sports injury all the way to the degenerative condition. There is no basic age limit on who is a candidate. That’s basically what we are offering now a days. It’s an exciting time. This is basically the future of medicine. We all believe this is the next great invention because it’s minimally invasive. It’s a procedure compared to any kind of a surgical intervention. Regenexx Texas is what our office location … it’s a great point location. What we are offering there is stem cell treatments and plasma rich platelet treatments. These are basically a procedure where we need you to come multiple times but there is no downtime to it other than a couple of days after the procedure. The recovery is much faster compared to any surgical procedure. We evaluate the patient and review his MRI scans and we’ll get our own x-rays if needed. We’ll come to some kind a treatment plan. We will recommend who is a good candidate for this kind of procedure and who is not a good candidate. Basing on all these factors, we will recommend what kind of result can you expect out of this. These will be done at the office location. Once we validate their clinical examination as well as medical records, then we put patients into the treatment plan which would include for them to come back 2 to 3 times depending on the condition. All are outpatient based procedures. They come in and once the procedure is done, 15 to 20 minutes is the maximum each procedure takes and they will walk out with the help of some bracing or possibly crutches in some scenarios. We follow them up on a regular basis. We also put them on a lifestyle modification which includes their gate training. Their mechanical strengthening of the body parts. We give them and follow them and work with them, not only a treatment of stem cells into their body parts, but also how to modify their lifestyle and improve their functionality in return.